Imageotag provide two map views, a split screen Photo Map and a Map View with thumbnail images shown at the location where the photos were taken. 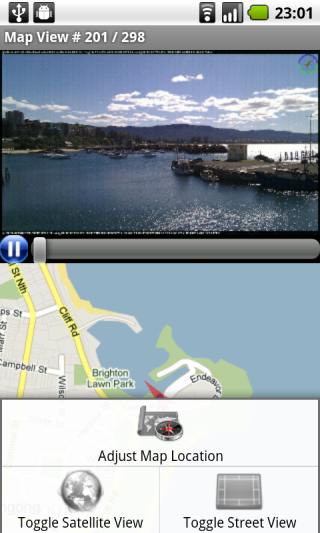 Photo Map view shows a split screen view with a photo slide show at the top and a corresponding map view at the bottom. 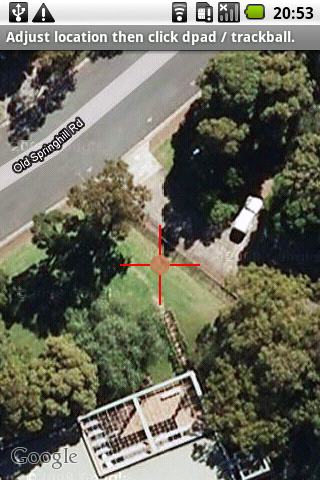 The map view shows the location of each photo with an arrow showing the compass direction the camera was facing at the time of the photo was captured. The standard map zoom buttons are also provided at the bottom of the map. A play and pause button allows the slide show to be started and paused. When paused swiping the touch screen will move to the next or previous image in the series. Pressing on the image will show it with the default Android image gallery app. 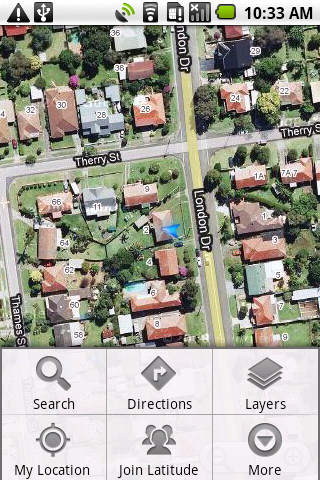 Pressing on the map will the start Google Maps™ app at the location the image was captured. 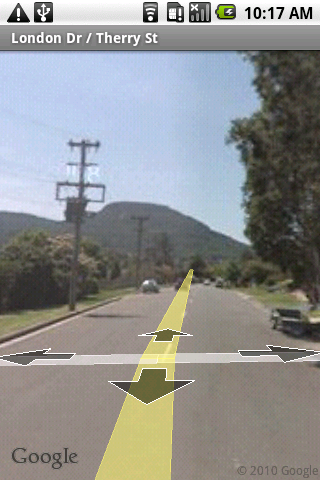 Long pressing on the map will start the Google Street View™ app where the image was captured adjacent to a Street View supported location. * Adjust map location. Start a Map view from which the location at which the image was captured can be adjusted, this is helpful where the GPS data recorded was inaccurate or unavailable when an image was orginally captured. * Toogle between Google satellite and map views. * Toggle street outline map view. 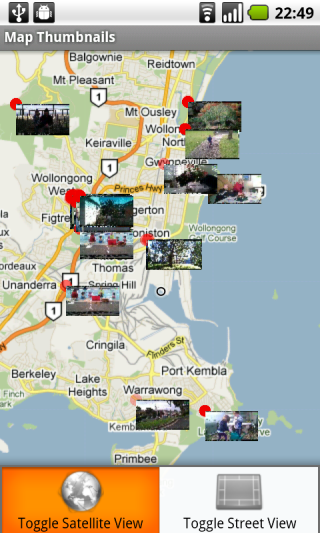 Map view shows small thumbnail images at the location where the images where captured. Touch the thumbnails to show a slide show of the photos recorded at the selected location. Use the standard map zoom controls to zoom the map and swipe the touchscreen to scroll over the map. Adjust Map Location is used to change the GPS location where the image was originally captured, this is helpful where the GPS data recorded was inaccurate or unavailable when an image was orginally captured. Use the touchscreen,map zoom controls and trackball/D-Pad button to adjust the map until it is centered over the desired location. Press the trackball/D-Pad button when completed to update the image GPS location.